RAVENOL LHM+ Fluid is a special semi-synthetic hydraulic fluid with significantly improved low temperature viscosity especially designed for use in vehicles manufactured by the PSA group (Citroen, Peugeot). 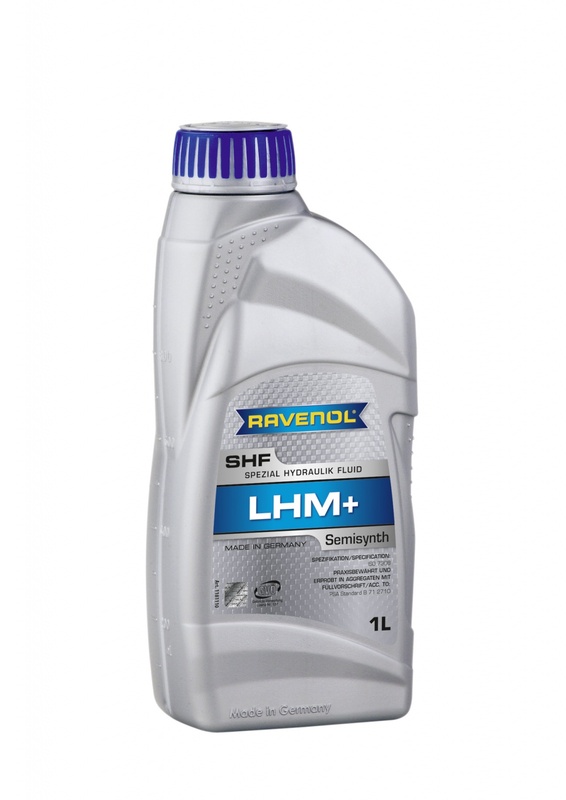 RAVENOL + LHM Fluid shoud be used in vehicles with an appropriately marked fluid reservoir for the hydraulic operation or support of braking, steering and suspension functions. It is miscible with earlier LHM fluids. Excellent viscosity behavior at low temperatures. An extremely high viscosity index. Exceptional flow capabilities at low temperatures. Neutral behavior towards sealing materials.